CHARLESTON, S.C. -- A white former South Carolina officer was sentenced to 20 years in prison on Thursday for fatally shooting an unarmed black motorist in the back in 2015, wrapping up a case that became a rallying cry for the Black Lives Matter movement. 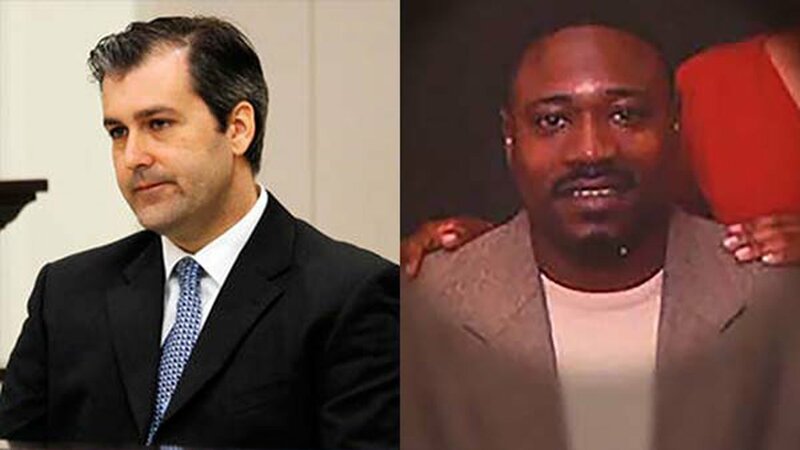 Attorneys for ex-North Charleston Officer Michael Slager said he shot 50-year-old Walter Scott in self-defense after the two fought and Scott grabbed Slager's stun gun. They said race didn't play a role in the shooting and Slager never had any "racial animus" toward minorities. Still, Slager pleaded guilty in federal court to violating Scott's civil rights. As part of the plea agreement reached in May, prosecutors dropped state murder charges. A year ago, a state judge declared a mistrial when jurors deadlocked in that case. Scott's family testified before the sentence was handed down and said they had forgiven Slager. "I'm not angry at you, Michael. Michael, I forgive you, and Michael, I do pray for you now and for your family, because we've gone through a traumatic time," he said. Two months after the shooting, a young white man killed nine black church members in a racially motivated attacked during a Bible study in Charleston. The family members of those victims struck a similar forgiveness tone after that attack. Before the sentence was handed down, the judge had to decide whether the shooting amounted to second-degree murder or manslaughter. Norton found that it was murder. The bystander's video started after the struggle between Slager and Scott and showed Scott running away and the officer firing eight times. Scott was hit in the back five times. After the shooting, Slager picked up his stun gun and placed it next to Scott. Slager contends he was securing the weapon. Prosecutors think he put it there to bolster his self-defense story. An emotional Slager told the Scott family that he was grateful for their forgiveness. "This tragic event that occurred in seconds has changed the lives of everyone involved," he said. "With my actions that day, Walter Scott is no longer with his family, and I am responsible for that." The judge also found that Slager, 36, obstructed justice when he made statements to state police after the shooting.